The newborn mini session is a pint sized newborn shoot. its a one hour session, within that time I will do a variety of wrapped poses. Minimum of four. All props and accessories are included. Best suited for newborns under 4 weeks old. At just £125 its perfect for a voucher or if your only looking for a couple of newborn images. What a year! 2018 has been a massive year for my business, this year my business is going from strength to strength. Mainly the direction its taken me has been a shock, I am shooting 90% newborns now which is amazing. Newborn Photography is a huge passion of mine and I have been blessed to meet so many little ones this year. My Mini sessions give me the opportunity to see its of old faces and I love to reconnect with clients I haven’t seen all year or sometimes longer. This year my Christmas photo-sessions sold out in 24 hours in September! Just a little snippet of all the lovely faces I have met leading up to the festive time. And Secondly the biggest thank you to every single person who books in, comes back and continually recommend me, you make my life very special and ensure I continue doing a job I love! If you do want to be informed of any mini sessions I have coming up remember my mailing list gets all the details first, simply fill in the form here to make sure you never miss out! Baby Massage classes are amazing for both bonding with baby and getting out as a mum and meeting other mums. 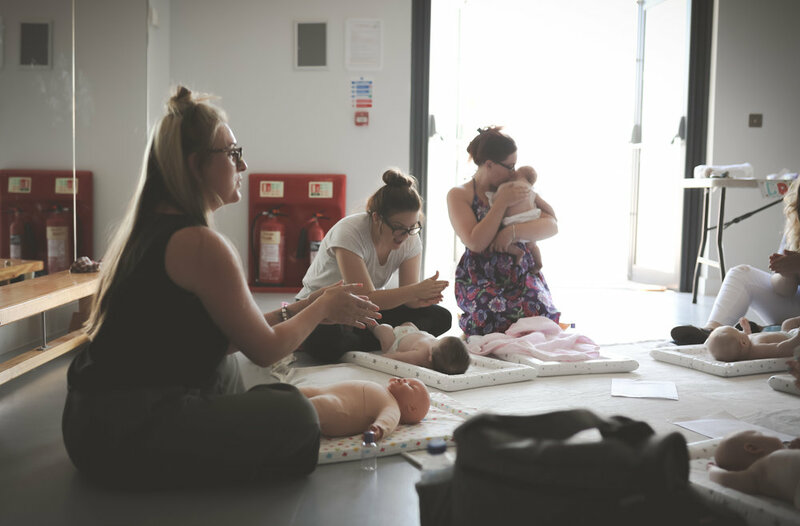 When I first became a mum baby massage classes helped me to socialise and also have those 'mum' conversations that I suppose we all feel so new too. Kelly runs a lovely baby massage class in Liverpool, after attending her class last week to do some photographs for her new business I can see why she's already doing so well. Kelly is a mum of three so not only knowledgeable in all aspects of being a 'Mum' but her baby massage skills are just fantastic. The mums attending the classes were all laughing and chatting and its great to see as sometimes Maternity leave can be a lonely place. Starting a business is hard and I love being able to share and support other women (especially mums) who take the plunge to do something they really want to do. Kelly is an absoultely lovely and down to earth girl, so if your looking for a place to do a baby class, learn about baby massage and meet other mums 'Little Dreamers Baby Massage' is a fantastic option. Pregnancy in all its glory should be remembered as the cherished time between just you and your little one. I speak to so many new mums who come in for newborn photo sessions who say they would have loved a bump shoot. Whether it be price or time restrictions I want to give all you 'yummy mummies to be' the chance to have some beautiful maternity images without a hefty price tag. I have just launched my maternity mini packages and as an incentive, if you book your session in May, June or July I am giving you £25 off any option below. A maternity shoot is best done when you are between 32-36 weeks pregnant. If you are interested pop me a message to discuss further or to book in. Thank you for your message I will be in touch shortly! How many photographs do you have with your children? How many of us mums have photographs with our children? Do you find you have a phone full of raised arm awkward selfies? As a mum of two I know its so hard for us to be 'in' photographs with our children. I have just a handful of photographs of me as a child and my mum and I can honestly say I just cherish these. Why? Because she was always behind that camera capturing the memories so to have some images with us together is super special. I was going to run these for mothers day only however I have decided to run these Mini sessions for 2 set days one before mothers day and one later in the month to give everyone a chance over the next 4 weeks to pop along and get some beautiful natural photos! Adventure Babies South Manchester - Meet Jo! I first met Jo at a Bump & Baby show in Chorlton last year. We immediately clicked and were talking about our business's and also about our own families. I have been extremely lucky for Jo to invite me to her South Manchester classes where I get to photograph all the gorgeous babies having a lovely time with their Mum's, Dad's and sometimes Grandparents. My little photography business has hit its 4 year milestone! I love being a Newborn photographer & Wedding photographer. As much as I see four years as a huge achievement and one I am really proud of, I wouldnt still be succeeding and doing a job I can honestly say I ADORE if it wasn't for my clients, my friends and family who not only support me in all kinds of ways wether that be booking in for shoots year on year, recommending me, or even something like sharing a post on social media. Christmas Mini Sessions are now ready to book. Three exclusive dates, its a clean modern and magical set this year. Just £25 to secure your space, theres a rocking horse, wooden sleigh and a festive mini bed! Church view farm is a family run farm and shop that grows and sells fresh fruit and vegetables, at this time of year they have over 5000 fresh Pumpkins. The farm is situated opposite St Thomas church and less than half a mile from the scotch piper pub which is the oldest inn in Lancashire, in close proximity to from farmer teds. Newborn Photography Cheshire | What do I hope to achieve from every newborn session I do? As an experienced newborn photographer, I have chosen my sessions to be mainly baby led which means choosing poses and props and the flow of shots dependant on each baby's individual moods, character and needs.